Earning and keeping your customer’s trust is one key to long-term success. In today’s digital world, your customers expect product and service innovations at an increasingly rapid pace. At the same time, customer privacy and data security are under close scrutiny. These trends help to explain why organizations are migrating to Amazon Web Services (AWS): to benefit from the agility, scalability, and security that it offers. AWS has always put cloud security first. 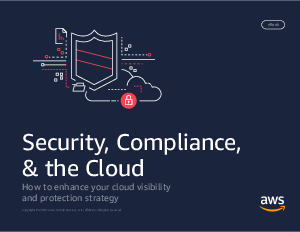 This security-centric approach not only helps you more effectively protect your data on AWS, but can also help you meet security and compliance standards.